CAIRO (AP) — Supporters and opponents of Egypt's Islamist president staged rival rallies Friday after he assumed sweeping new powers, a clear show of the deepening polarization plaguing the country. President Mohammed Morsi's decree put himself above the judiciary and also exempted the Islamist-dominated constituent assembly writing Egypt's new constitution from judicial review. Liberal and secular members earlier walked out of the body, charging it would impose strict Islamic practices. 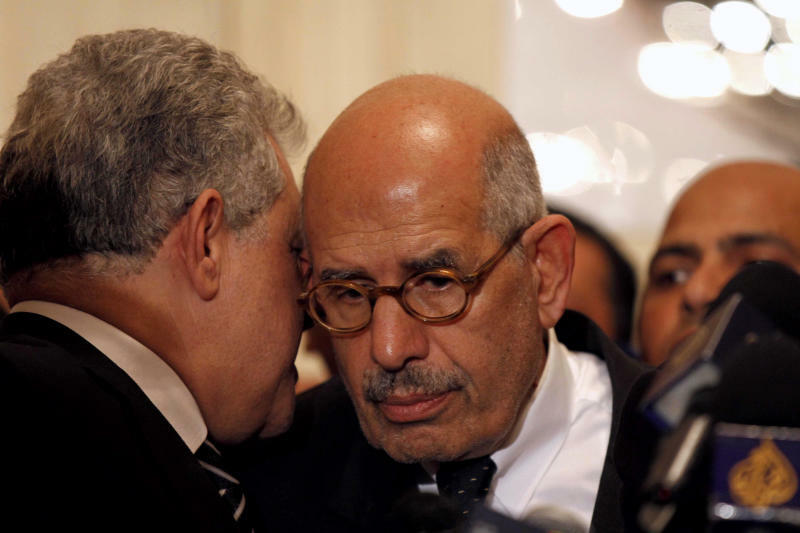 Protests following Friday midday prayers were set to feature prominent pro-democracy figures, like Mohamed ElBaradei, former head of the U.N.'s nuclear agency. 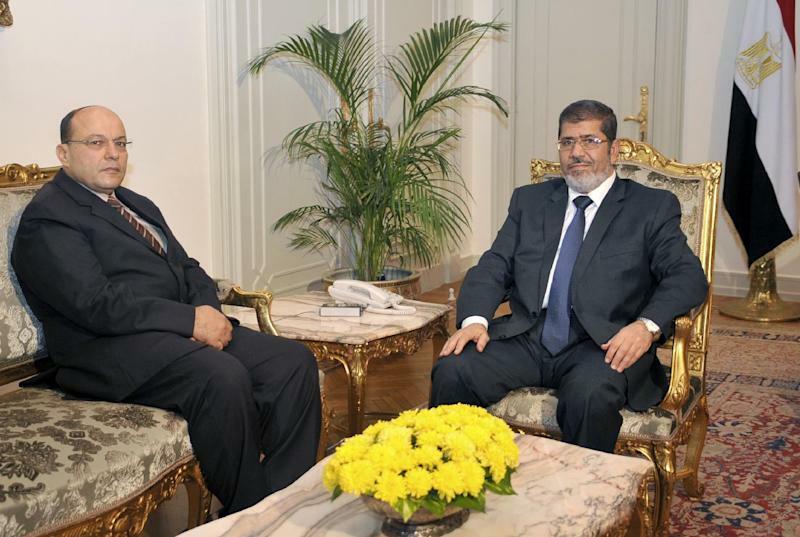 ElBaradei called Morsi a "new pharoah," and others said his new decrees put him in the same category as ousted President Hosni Mubarak, whose autocratic practices and harsh crackdowns led to the uprising against him last year. Since Mubarak's departure, Islamists have dominated elections for parliament and president, marginalizing the young, mostly secular liberal activists who spurred the uprising. Their frustration has spilled over several times. Rallies this week in Cairo to mark a year since a bloody battle against the military that was ruling Egypt at the time turned violent, with protesters throwing rocks and firebombs and security forces firing birdshot and tear gas. Apparently anticipating the anger at his power grab by those who led the uprising, Morsi ordered the retrial of Mubarak and top aides on charges of killing protesters. He also created a new "protection of the revolution" judicial body to swiftly carry out the prosecutions. He did not order retrials for lower level police acquitted in the killings, opting to seek the backing of the security forces instead. Chants of "Leave, leave" rang across Tahrir Square, echoing calls against Mubarak at the epicenter of last year's uprising, as crowds of protesters circled the square chanting, "Morsi is Mubarak ... revolution everywhere." Several kilometers (miles) away, member of Morsi's Muslim Brotherhood, demonstrated in front of the presidential palace to back Morsi. "The people support the President's decree," supporters chanted, pumping their fists. "God will humiliate those who are attacking our president, Mohammed Morsi," said ultraconservative cleric Mohammed Abdel-Maksoud in front of the palace. "Whoever insults the sultan, God humiliates him," he added. Protesters chanting "free revolutionaries, supporting the Quran," interrupted him. State media described Morsi's decree as "a correction revolution," and the official radio station aired phone calls from listeners praising the president's decree. In contrast, the privately owned Al-Masry al-Youm newspaper ran a front page headline reading, "Morsi, a dictator, temporarily."